I have made this recipe a few times, originally from Ina Garten. There are a lot of steps, but you end up with a delicious soft red velvet cupcake thats worth it. Preheat oven to 350˚F and line a muffin tin with paper liners. In a small bowl, mix gel food colouring with 1 tbsp of water and cocoa powder. Mix with a fork until it becomes a paste. Add cocoa food colouring mixture to the butter mixture and beat until combined. Add eggs and mix well after each addition. Add vanilla to buttermilk. I didn’t have any buttermilk on hand so I made a substitute at home. I put 1 tbsp lemon juice in a 1 cup measuring cup and filled to the top with 1% milk. Add dry and wet ingredients, alternating between the two until well incorporated. In a separate bowl mix baking soda and vinegar. The two will bubble (similar to your grade 7 science experiment). Mix until it stops bubbling and add to the batter. Mix well. With a paddle attachment, cream butter and cream cheese. Add the powdered sugar 1 cup at a time. Add the tsp of vanilla and mix slowly. If it is too thick at 1/2 tsp of milk at a time until you have the right consistency. 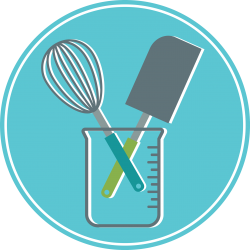 As you can probably guess, seeing as this recipe relates to a classic middle school science experiment, it seemed important to explain the science of mixing baking soda and vinegar. The mixing the reaction generates carbon dioxide gas. This is an example of an acid base reaction. It helps the red velvet rise well to make a light and airy cupcake.